📝 Note: Make sure that Following on Instagram is toggled to on to be able to edit this. 💡Pro Tip: If you have a particular social media channel that you want to grow, set a higher points reward to encourage members to follow that one. 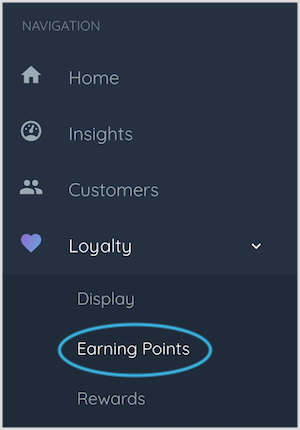 When your members log in to their loyalty account and visit the Earn tab of your loyalty widget, they will see your Follow us on Instagram earn option. Clicking on the reward task will take them to your store Instagram page where they can start following you. 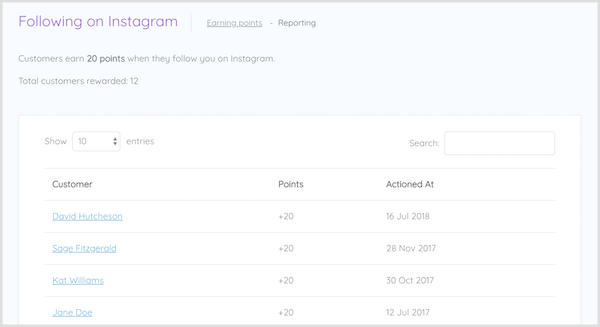 📝 Note: Your members will only receive points for Following on Instagram once.